Pop Rock heavyweight in the music industry both as a Singer/Bassist/Songwriter for the band Chicago and as a mainstream solo artist. Ironically, his vocal style developed as a result of having his jaw wired shut after suffering injuries in a fight while attending a ballgame at Dodger Stadium in 1969. 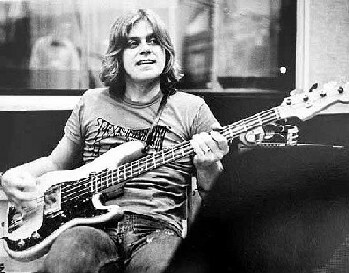 Cetera’s blue-eyed soul vocals and his chunky, economic bass playing style provided a necessary anchor to the massive sound of Chicago; which included a horn section and monster guitarist Terry Kath.